Treatments and solutions designed to bring you relief. Northwest Institute for Digestive Surgery offers top of the line surgical solutions for diseases and ailments related to the stomach. The stomach is a muscular, hollow, dilated part of the gastrointestinal tract that functions as an important organ in the digestive system. The stomach is located between the esophagus and the small intestine. It secretes digestive enzymes and gastric acid to aid in food digestion. Gastritis is inflammation of the lining of the stomach. The most common symptom is upper abdominal pain. Other symptoms include nausea and vomiting, bloating, loss of appetite and heartburn. 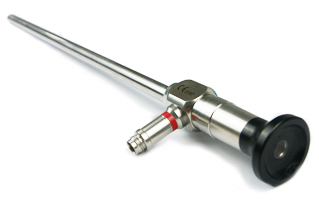 Esophagogastroduodenoscopy (EGD) is a procedure where a flexible tube with a light and camera at the end, called an endoscope, is used to examine the lining of the esophagus, stomach, and first part of the small intestine. A computerized tomography (CT) scan combines a series of X-ray images taken from different angles and uses computer processing to create cross-sectional images of the inside of your body. CT scan images provide more detailed information than plain X-rays do. For a gastric emptying study, a patient eats a meal in which the solid component of the meal, the liquid component of the meal, or both, are mixed with a small amount of radioactive material. A scanner is placed over the patient's stomach to monitor the amount of radioactivity in the stomach for several hours after the test meal is eaten. As the radioactively-labeled food empties from the stomach, the amount of radioactivity in the stomach decreases. The rate at which the radioactivity leaves the stomach reflects the rate at which food is emptying from the stomach. PillCam® uses a miniaturized camera contained in a disposable capsule that naturally passes through the digestive system, allowing us to directly view the small bowel, without sedation or radiation. 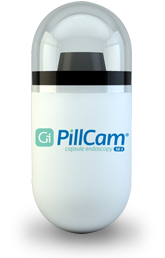 With PillCam® we have the ability to quickly and efficiently detect and monitor abnormalities throughout the GI tract. The SmartPill Capsule Motility Procedure is an exciting advancement in gastrointestinal healthcare. Once ingested, the SmartPill Capsule collects pressure, pH and temperature data from your GI tract and wirelessly transmits that information, allowing your physician to analyze. 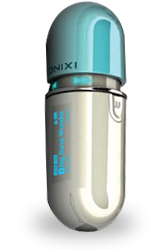 With just one capsule, we are able to obtain the information needed to better evaluate your condition. 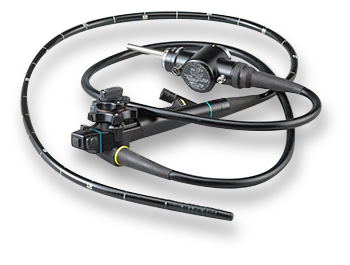 Laparoscopy is a surgical diagnostic procedure used to examine the organs inside the abdomen. It is a low-risk, minimally invasive procedure where only small incisions are made. This procedure allows our doctors to see inside your body in real time, without open surgery. A short procedure, a new lease on life. Endoscopic mucosal resection (EMR) is a specialized endoscopic technique used by our doctors to diagnose and remove large areas of early cancers arising in the gastrointestinal tract, including the esophagus, stomach, small intestine and colon. 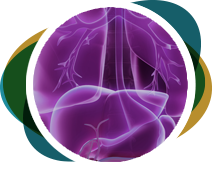 EMR has become a safe alternative to surgery for the treatment of early cancer arising from conditions including Barrett’s esophagus. Laparoscopic partial and total gastrectomy are procedures in which part or all of the stomach is surgically removed. This may need to be performed for a number of reasons, including stomach cancer, esophageal cancer, stomach ulcers, gastroparesis, and non-cancerous tumors. Bariatric Surgery is offered to those who suffer from severe obesity (BMI 35-60), and is aimed at treating such medical conditions as high blood pressure, sleep apnea, and diabetes. Bariatric procedures include laparoscopic gastric bypass and laparoscopic sleeve gastrectomy.